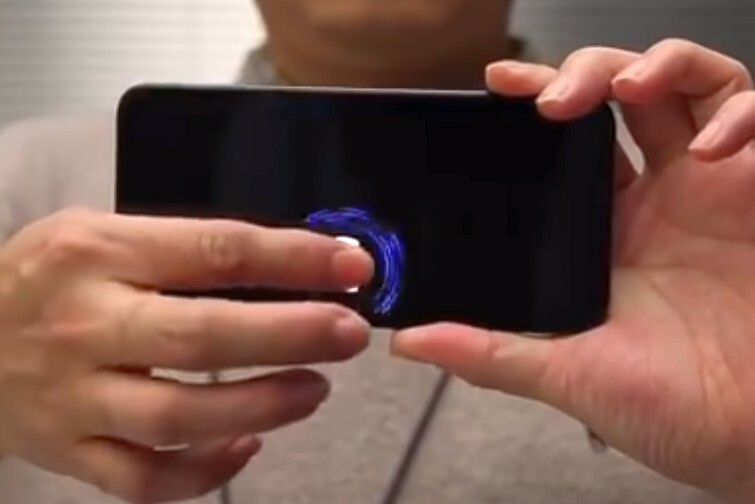 Xiaomi's co-founder, Lin Bin, has recently uploaded a video to Weibo that reveals an improved version of the in-display fingerprint reading technology already in use on commercial devices. The most obvious change is the larger active authentication area, which now measures 25 x 50.2 mm. This solution will probably be used in the Xiaomi Mi 9 flagship. Although its use is still limited, the in-display fingerprint sensor has left behind the technology demo/prototype stage and went mainstream last year. Now, it looks like the time has arrived for this technology to get a solid improvement. As recently revealed by Xiaomi's co-founder, the upcoming Xiaomi Mi 9 will probably come with an in-display sensor able to read a much wider area than the solutions currently on the market. Lin Bin, the founder of the popular Chinese company mentioned above, has posted a video on Weibo that reveals a working prototype of the new in-display fingerprint scanner. Sadly, the other technical details of the phone used to test this technology were not uncovered, but since we are talking about an improvement of a technology that is currently used for flagships and premium devices, it is highly unlikely for Xiaomi to launch it in a mid-ranger. The translation of the aforementioned Weibo post reveals the size of the active authentication area: no less than 25 x 50.2 mm. While this is far from enough to cover at least half of the display's surface, it is a more generous surface by far when compared to the in-display fingerprint solutions that are commercially available nowadays. Finally, we should also take into account that the Vivo APEX concept has an active under-display fingerprint reading area as large as half of its screen. Obviously, the Apex is just a concept — that turned into the quite different Vivo NEX handset — and Xiaomi should bring its improved in-display fingerprint reading technology to the masses soon. While we have no launch date for the Xiaomi Mi 9 or other details, we can bet that this year will be a very interesting one for in-display fingerprint scanners used in both flagships and more affordable devices.